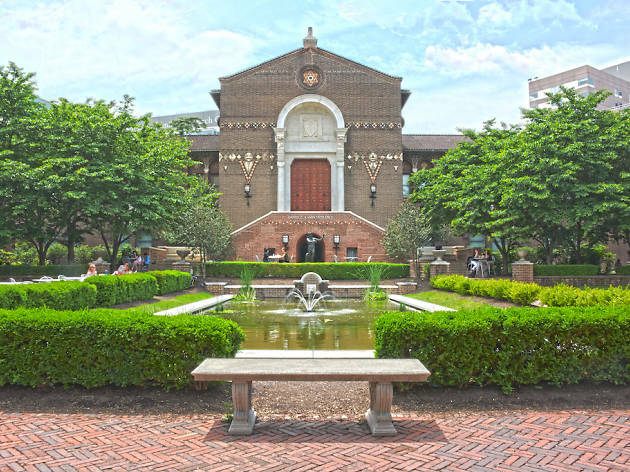 Preview Monument Lab, a new citywide project enlisting 20 artists to create works that reflect every Philadelphian and the issues facing our city. If you could build a tribute to the city of Philadelphia as it is today, what would it look like? 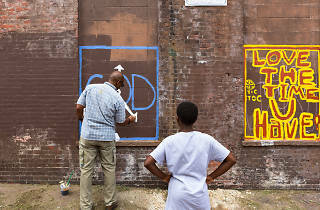 That’s the question at the heart of a new Mural Arts Philadelphia project called Monument Lab, which tasks local and national artists with creating shrines to the city to be displayed in 10 public parks around town between September 16 and November 19. The works in Monument Lab come in all shapes, sizes and formats and will not only give voice to overlooked historical figures but also address current social issues facing this city—from education and race relations to the opioid epidemic in Kensington. Here are five projects we’re excited about and where to find them. Lovers of scavenger hunts will dig this local artist’s project, essentially an app you download on your phone that leads you on a journey to uncover forgotten moments in Philly’s African-American history. The trek covers a three-mile area, starting in Washington Square and winding through Old City and Society Hill; along the way, players come across sites like an old African-American burial ground and the location of an abolitionist meetinghouse that was burned down by a mob. “I hope that people come away learning to look closely at things that may be hidden in plain sight and engaging their curiosity even as it may be challenging and painful and difficult,” says Williamson. The app is available starting September 16 here. Technologically challenged? Pick up a paper map at the Monument Lab hub in Washington Square. Philly producer and DJ King Britt says his involvement with Monument Lab began with a simple tweet about his favorite artist, Oakland muralist Joshua Mays. 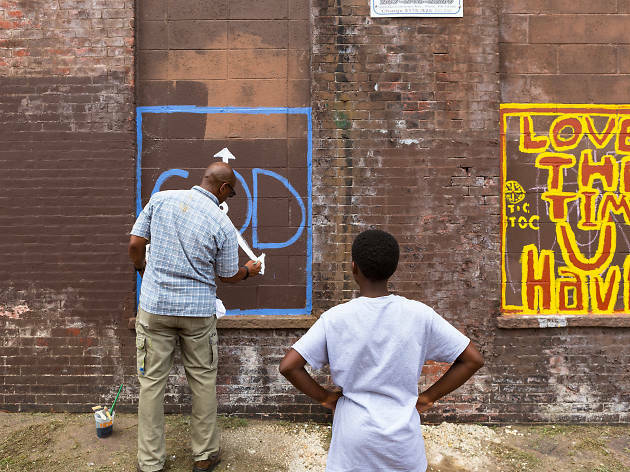 The post caught the attention of Mural Arts Philadelphia, and a collaboration was born. Britt and Mays are working with students in West Philly to build a gazebo in Malcolm X Park (5100 Pine St) that will serve as a stage for a free, one-night-only performance on October 14 from 4 to 8pm. The kids worked with Britt to create the set list, recording noises around the neighborhood and then manipulating them with his computer synthesizer to make the sounds more futuristic—a process he hopes will have a lasting effect. “By giving them a different point of view and access to ideas and processes that they may not have had access to before, we hope to get them thinking differently about what their futures could look like,” he says. 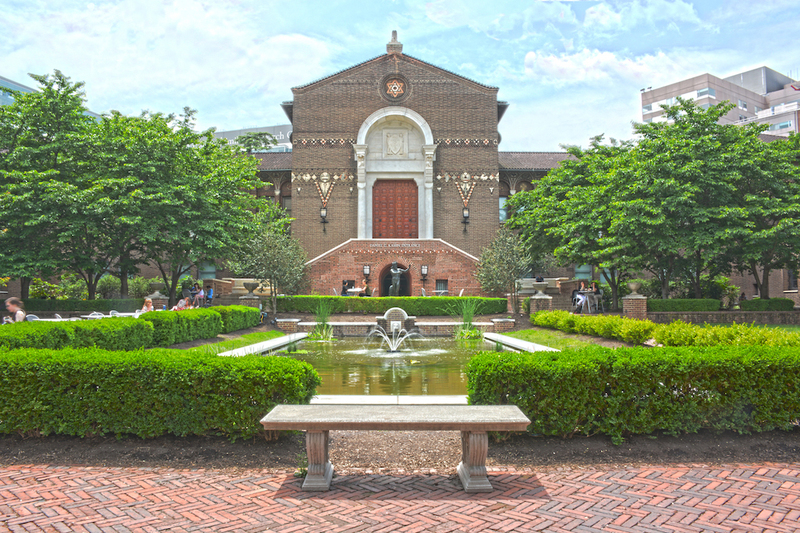 Hungry for more art in Philadelphia?